A 1946 Norman air cooled 4 stroke engine. One of 60 engines supplied to A.I.D. on 10th July 1946. Marked in the book as fitted with BTH magneto, and un-silenced. A.I.D. are Air Industrial Developments Ltd of Walsall. These Normans SC's would probably have been built into fixed and portable air compressor sets which was one of A.I.D. 's main activities at the time. 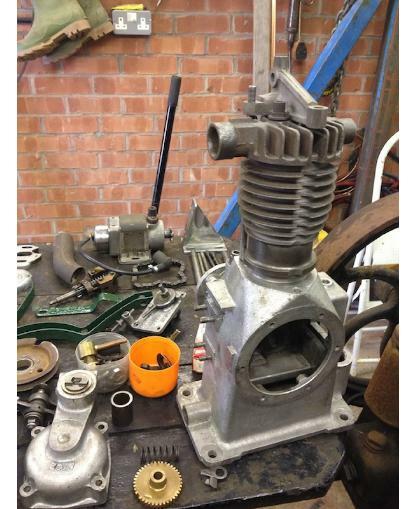 Click on the picture on the left to see progress on its rebuild.